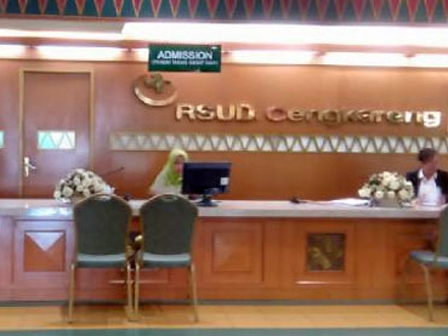 West Jakarta Population and Civil Registration Sub-dept. has a program to serve Child Identity Card (KIA) making in Cengkareng RSUD (Public Hospital). From January to May 2017, 670 KIAs have been issued.
" The making requirements are marriage certificate, ID card (KTP), parent's family card (KK), and birth statement letter from hospital. It is free of charge"
"Until now, 670 KIAs have been issued. In one day, between 15-20 KIAs were issued," said Mohammad Hatta, Head of West Jakarta Population and Civil Registration Sub-dept., Wednesday (5/24). He added, KIA is referring to Minister of Home Affair's Regulation (Permendagri) No.2/2016 about Child Identity Card. KIA is used as a legal ID card when using public service such as in making passport or to get treatment in Puskesmas. "The making requirements are marriage certificate, ID card (KTP), parent's family card (KK), and birth statement letter from hospital. It is free of charge," he closed.